Finally my friend and I decided to try Viking Soul food. We wanted to try it because it was so different. It stood out! As always I asked them what I should order to get the full experience. I love this, because I usually get stuff I would never try. She steered us towards the Meatball Lefse and the Smoked Salmon. She cut them in half so we could share. Wow! This place does not disappoint, just like all the readers said. The smoked salmon was by far my favorite. It was fresh, and full of flavor with the dill creme fraiche and pickled shallots. 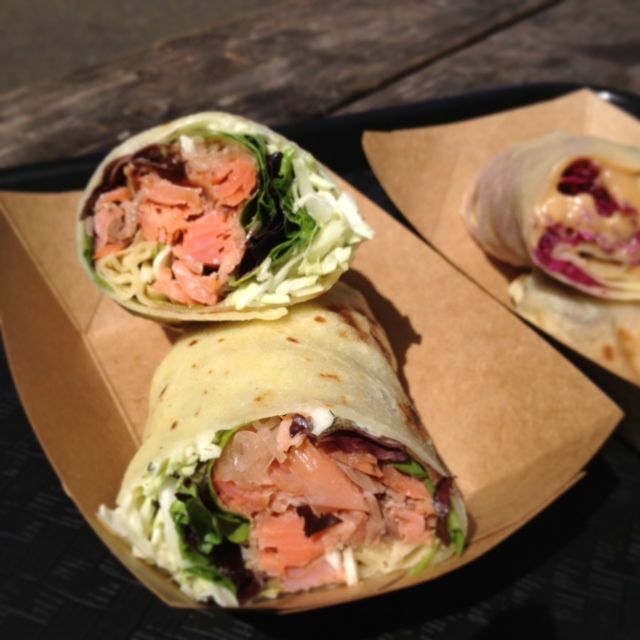 They are wrapped in potato flatbread, that is to die for. They are not heavy at all and they have a great rich flavor. I loved that as I ate my lefse that the wrap really stood out. The meatball one was also good. It was very authentic with the Norwegian cheese sauce and the sweet and sour cabbage. I am very glad I tried it. I ate the whole thing and enjoyed it, but between the two I loved the salmon one more, even though the readers seem to love the meatball one more. I love that they are the only Lefse food cart in Portland, and I love that I learned what lefse even was. So get on over there and try it out. Try something new, different and creative. I already know what I’m going to order when I go back. I am going to try a sweet one. Service was awesome. The owners were great, very helpful and I let her choose for me. I love that!! They made the experience great. Pricing was awesome. We got a very filling, flavorful lunch for just $6 each. 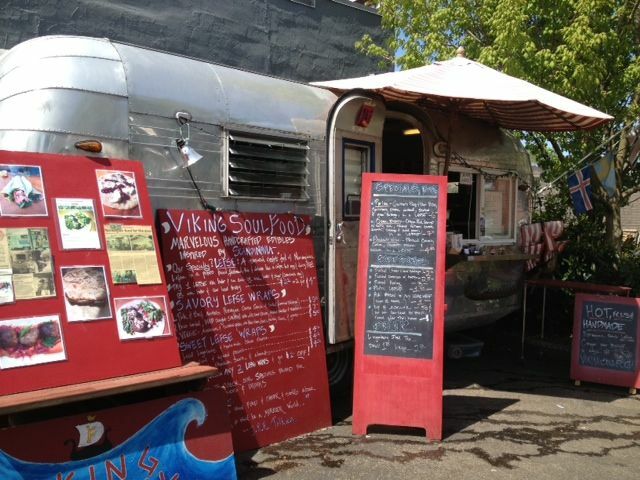 Viking Soul Food is located on Belmont and 43rd.